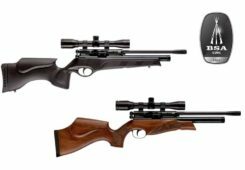 UmarexUSA has released an overview of the 11 – yes eleven – new Umarex products that they will be launching at the 2017 SHOT Show. 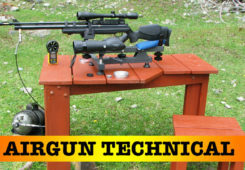 These include one-of-a-kind optic devices, a new exploding target, 50 Cal ammo, and full-auto airguns! #1) Two new Umarex products from the new Axeon Optics brand get you on target faster than ever. These Axeon Optics systems solve common frustrations experienced by hunters and shooters. The patented Absolute Zero uses a dual-laser system that quickly and easily gets you sighted in with a single shot saving you time and money. 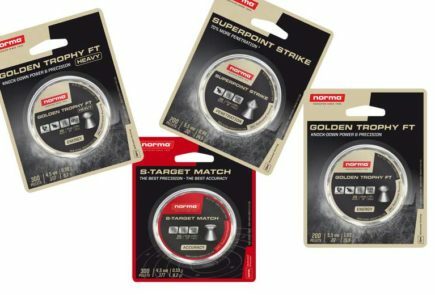 The Second Zero lets you quickly retarget at a new distance without calculation or adjustments. #2) Optical Dynamics is the most focused Long Distance Illuminator. The patented Light Projection Technology system used in Optical Dynamics directs an ultra-focused, high definition, harmonized beam of collimated projected light at a distance you have to see to believe. 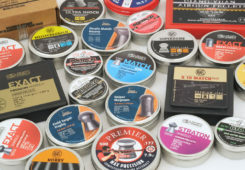 The company says that this is the biggest jump in air rifle ammo technology in decades. Constructed from an advanced polymer-copper matrix, Umarex ARX by PolyCase will revolutionize terminal performance in both muzzleloading and airgun hunting. This is a 700 Ft/Lb. 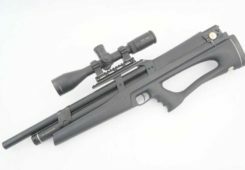 50 caliber PCP air rifle in a compact configuration that will shock airgun hunting enthusiasts with its innovative approach of packing multiple shots. 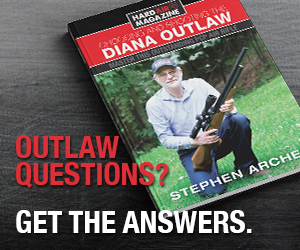 With lots of power into a modern and rugged rifle that’s easy to carry and use. 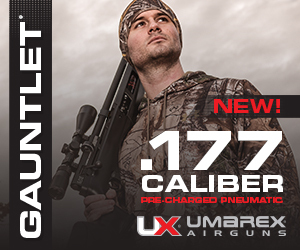 The Umarex Hammer is the latest in .50 caliber high pressure air rifles. Announced yesterday, Umarex says this is the first in high pressure air rifles to deliver 70 consistent velocity shots with a single air tank fill for only $300. A feat that other rifles in it’s class can’t touch for under $1000, they say. 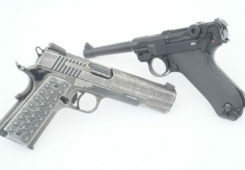 #6) A FULL-AUTO replica of the German MP 40. With a 60 round magazine! 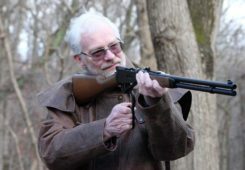 Gun fans love full-auto and historical guns. The Legends MP is made in authentic heavy metal form that will take you back in time. 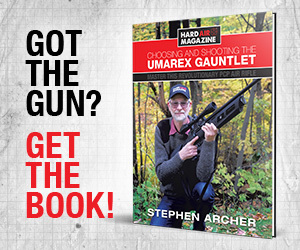 Umarex says it’s legal to own in most areas of the U.S. and is a great gun to have if you don’t want the hassle of getting the paperwork for a full-auto firearm. FULL-AUTO FUN is pre-installed. This is one of the new Umarex products, HAM Publisher Stephen Archer is really looking forward to seeing! #7) The amazingly quiet Umarex Strike Point. This new multi-pump air pistol has variable power capability with built-in noise suppression. 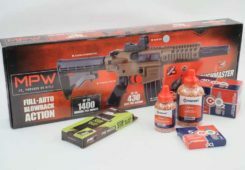 Its multi-pump charging action and SilencAir Technology make this one of the most versatile pellet pistols that every homeowner will want, says Umarex. #8) New Beretta APX air pistol. 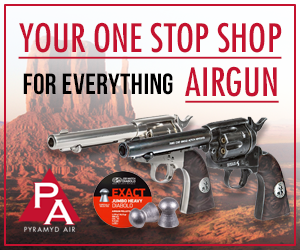 The authentic controls of Umarex air powered replica handguns make them the perfect companion for firearm owners. 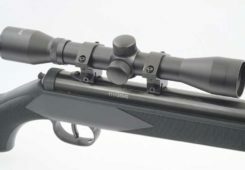 The slide movement of the new Beretta APX is powered by a calculated amount of CO2 that also serves as the propellent behind its steel projectiles. 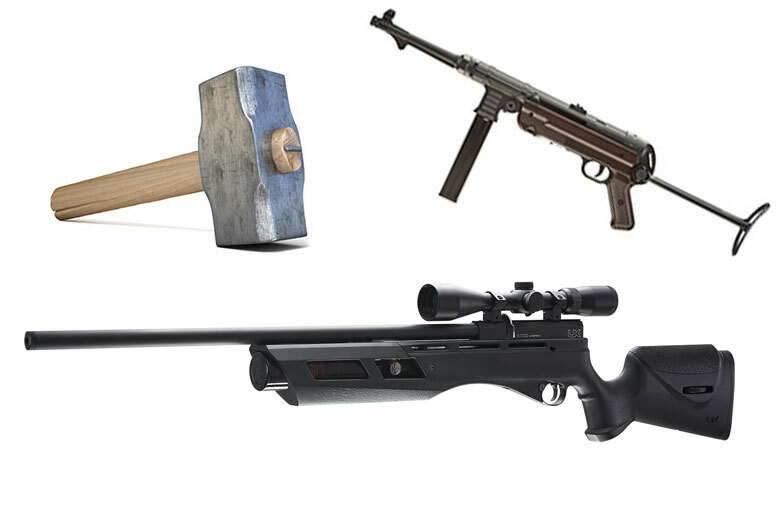 #9) NEVER BEFORE SEEN in break barrel air rifles. 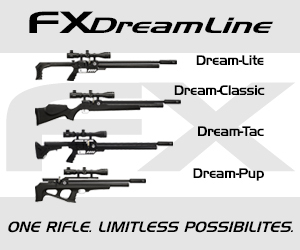 The Umarex Forge merges a classic wood stock with the innovative polymer Nucleus Rail. 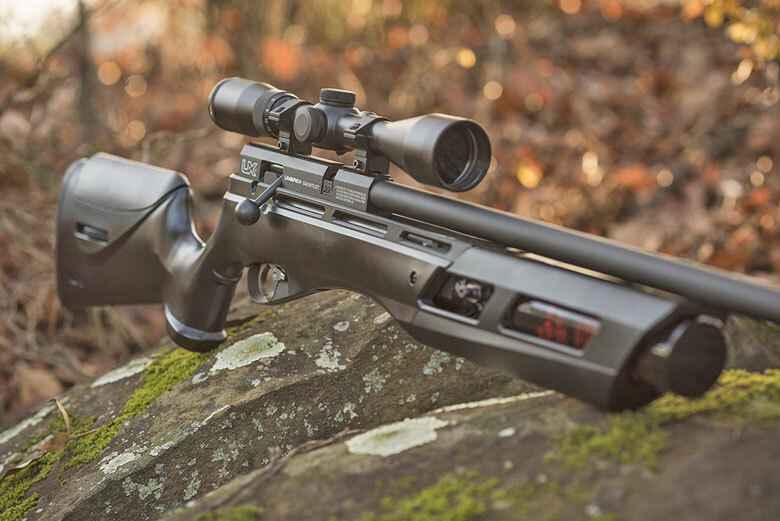 The Picatinny rail on this ultra-attractive pellet rifle makes scope mounting a breeze. Yet another of the new Umarex products to be launched at the Show. Umarex tells us this is a tiny projectile that dumps massive energy on impact. 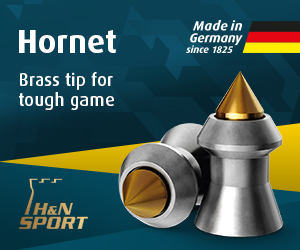 The company says this is the most lethal small game airgun ammunition available. These natural copper pellets expand like a machine upon impact. #11) Have a Big Blast! And last but not least. Get the excitement of loud explosions with Umarex BigBlast caps that use plastic bottles and air pressure to bring the boom! 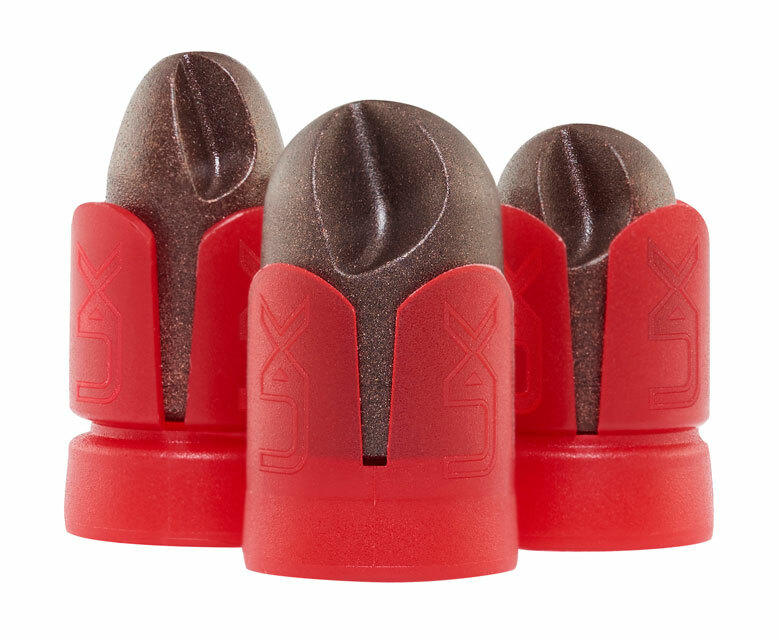 Big Blast Caps turn your water bottles into exploding targets for your rifles, pistols, bows, and higher power airguns. Plus, the caps are reusable.